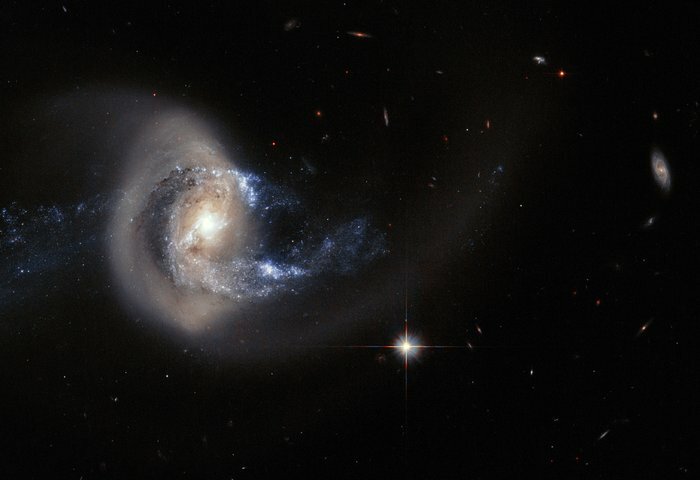 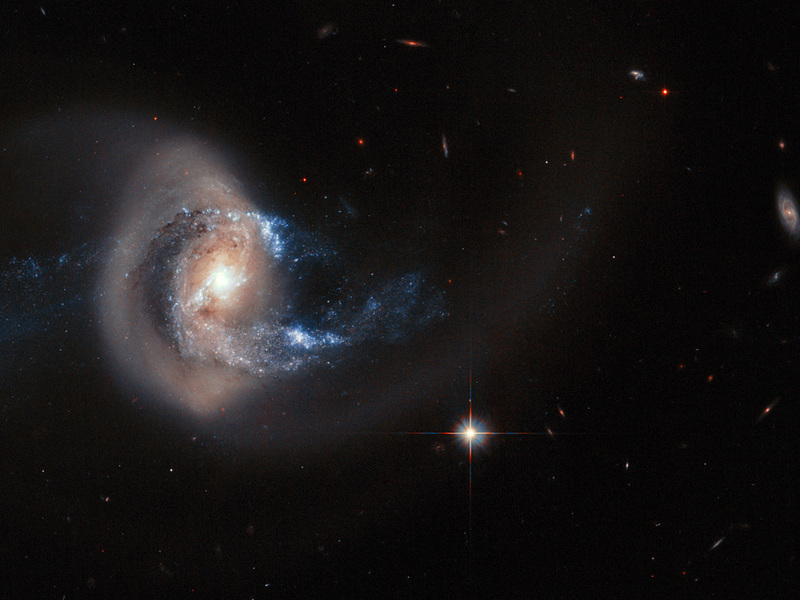 NGC 7714 is a spiral galaxy 100 million light-years from Earth — a relatively close neighbour in cosmic terms. 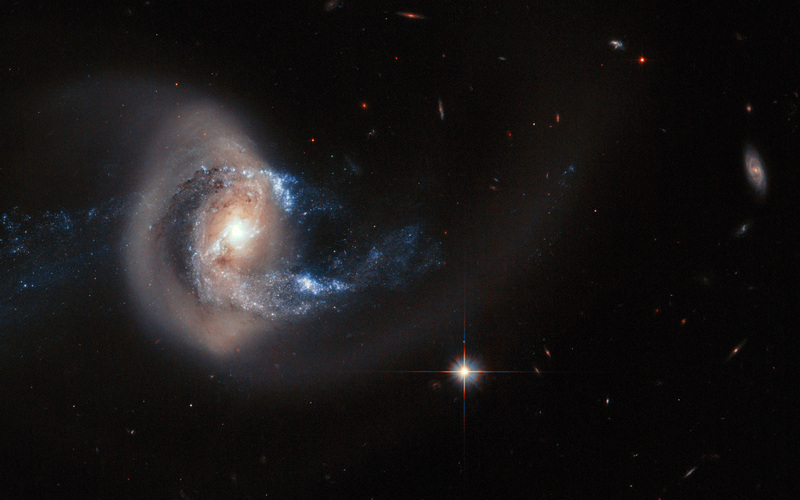 The galaxy has witnessed some violent and dramatic events in its recent past. 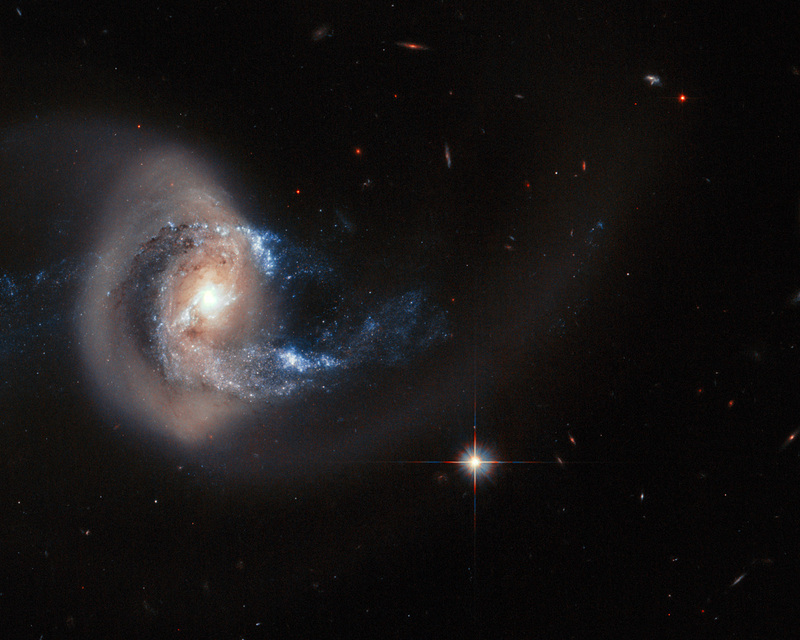 Tell-tale signs of this brutality can be seen in NGC 7714's strangely shaped arms, and in the smoky golden haze that stretches out from the galactic centre — caused by an ongoing merger with its smaller galactic companion NGC 7715, which is out of the frame of this image. Position (Dec): 2° 8' 40.54"